This is a beginner training plan for an athlete interested in completing a 5K road race. This training plan is geared towards the individual that is interested in completing their first race at this distance and has minimal to no running experience. This training plan is prescribed and individualized based on Rating of Perceived Exertion (1-10 scale) and assumes that an athlete has the equipment necessary to run. This training plan includes a mixture of walking, road running and resistance training performed in a gym. An athlete does not need to have a basic level of fitness before participating in this, however, it is recommended that the athlete has the ability and basic competency to run without pain. This session is a simple walk at an easy effort. Walk and run sessions in this training plan are prescribed based on RPE, so be sure to pay attention to the RPE prescriptions and try getting familiar with how you feel training at certain RPEs. Notice how certain paces and intensities match up with certain RPEs. This is an incredibly valuable skill that will be useful as you venture on further as a runner. Also, I would HIGHLY recommend getting into the habit of doing 5-10 minutes of static stretching after every single run session. This is simply a good habit to get into and can help you from getting too tight. Injuries are not necessarily caused just by having tight muscles, but tightness across muscles and joints can lead to you compensating with improper run technique, and this can ultimately lead to injury. Take a look in the Exercise Technique Guidebook and choose some stretches to work on after each run session. I would recommend focusing on the hips, gluten, hamstrings, calves, quadriceps, and shoulder girdle. The purpose of this session is to build basic movement patterns, build muscular endurance, and to provide a foundation of strength upon which to build on in more advanced sessions. This session contains a mixture of walking and running at a steady pace/effort. This session will progress over the next few weeks so that you are running longer durations. 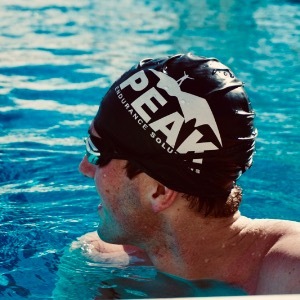 Peak Endurance Solutions is a company dedicated to providing endurance athletes with a premier coaching service through individualized, one-on-one coaching. Peak Endurance Solutions provides personalized coaching as well as pre-set, customized training plans available for purchase.